TEHRAN, Iran — To understand how Iran views the United States after President Donald Trump pulled America out of the nuclear deal with world powers, one needs to look at the past. More specifically, 65 years ago this week. 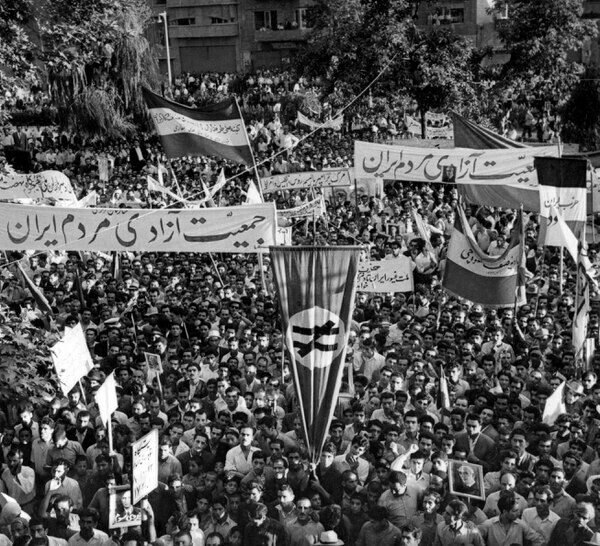 Then, a 1953 U.S.-backed coup toppled Iran’s elected prime minister and cemented the rule of the American-backed shah, lighting the fuse for the 1979 Islamic Revolution. For years after, authorities sought to eliminate the memory of Prime Minister Mohammad Mossadegh, whose downfall at the hands of the West linked directly back to his nationalization of vast British oil interests in Iran. Now, however, more and more officials across Iran's political spectrum are reevaluating and invoking Mossadegh's stand as they oppose Trump. That reflects a hardening attitude to any possible renegotiation, returning to a decades-old belief that America can't be trusted. "The Americans did not understand the issue. It was not just about the oil nationalization only," said Abdollah Anvar, 94, who witnessed the 1953 coup as a young schoolteacher. "The issue was the humiliation and discrimination by Britain against the Iranian people." "The U.S. became Britain's heir to Iran after the coup," he added. Leader pushes back on President Trump's mention of talks, rejects "bullying." The first to invoke in Mossadegh's ghost was Iranian President Hassan Rouhani, whose administration struck the 2015 nuclear deal with the Obama administration, only to see it collapse under Trump. The deal saw Iran limit its enrichment of uranium in exchange for the lifting of economic sanctions. It stopped Iran from being able to have enough highly enriched uranium for a nuclear bomb, opening the door for future talks. Trump, however, believes the deal should have included limits to Iran's ballistic missile program and addressed Tehran's backing of regional militant groups. He pulled America out of the deal in May, and later tweeted he'd negotiate without conditions with Iran. That drew this response from Rouhani in August. "I have no pre-conditions" for negotiating with America "if the U.S. government is ready to negotiate about paying compensation to the Iranian nation from 1953 until now," Rouhani said. "The U.S. owes the Iranian nation for its intervention in Iran." On Sunday, Iranian Foreign Minister Mohammad Javad Zarif also invoked Mossadegh on Twitter when mentioning a new State Department working group on Iran. "The US overthrew the popularly elected democratic government of Dr. Mossadegh, restoring the dictatorship & subjugating Iranians for the next 25 years," Zarif wrote. "Now an 'Action Group' dreams of doing the same through pressure, misinformation & demagoguery. Never again." Meanwhile, hard-line opponents of Rouhani increasingly compare him to Mossadegh, trying to describe him as weak. Those include hard-line cleric Ayatollah Ahmad Alamalhoda, an adviser to Supreme Leader Ayatollah Khamenei, who warned Friday that "dependency on a foreign power cost this nation a quarter of century of slavery." 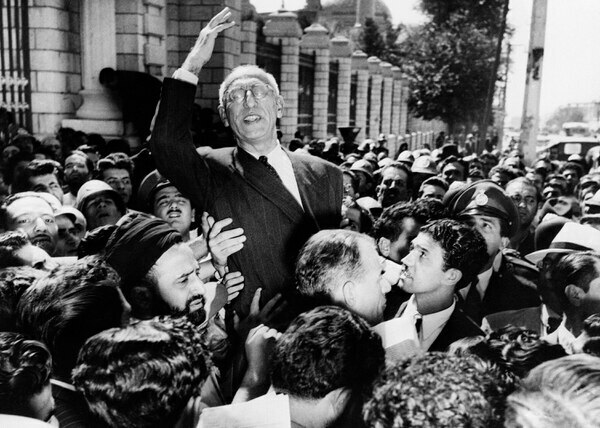 Recalling Mossadegh hasn't been all that popular for decades in Iran, however. He was viewed as a liberal, secular and nationalistic force within Iran itself. 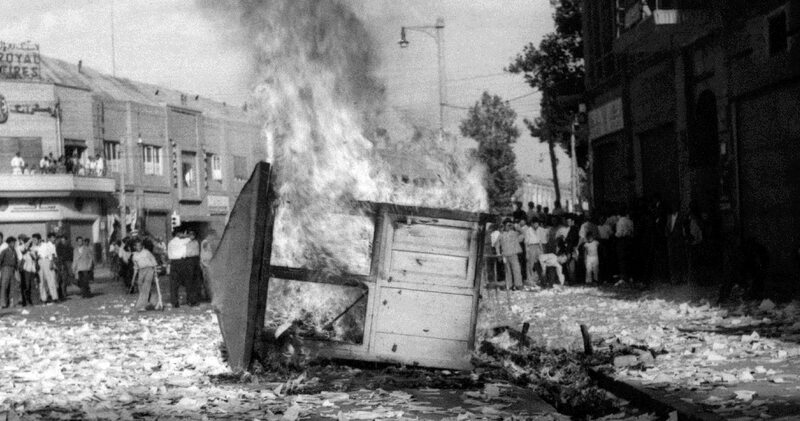 Hard-liners within Iran's Shiite theocracy demanded Mossadegh's name be removed from a Tehran street in 1981. Western diplomats in 1953 couldn't make sense of Mossadegh, especially his conveniently timed fainting spells, his weeping in public and his practice of greeting visiting diplomats from bed in his pajamas. But Mossadegh faced ever-mounting pressure from the British, who had embarked on an oil embargo of Iran over it nationalizing its oil fields and its refinery at Abadan, at the time the world's biggest. Meanwhile, the Russians increasingly wanted a piece of Iran as Communists agitated within the country. That in turn spooked the Americans at the start of the Cold War. U.S. officials had been discussing a coup up to a year before it took place, according to over 1,000 pages of cables and reports released by the State Department last year. Those papers show the CIA had at one point "stockpiled enough arms and demolition material to support a 10,000-man guerrilla organization for six months," and paid out $5.3 million for bribes and other costs, which would be equivalent to $48 million today. The agency faced problems, however, chief among them Shah Mohammad Reza Pahlavi himself. Diplomats and spies referred to him as a "weak reed" and "petulant." The coup initially looked like it would fail, sending the shah fleeing abroad. 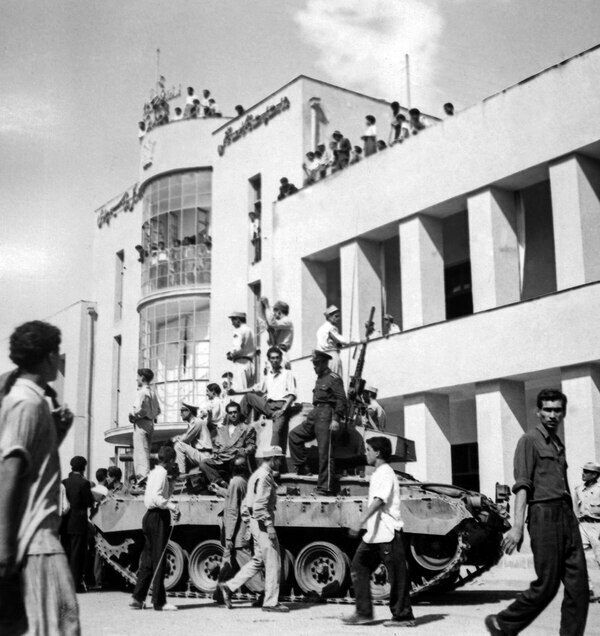 But something turned and soon, people were in the streets against Mossadegh. 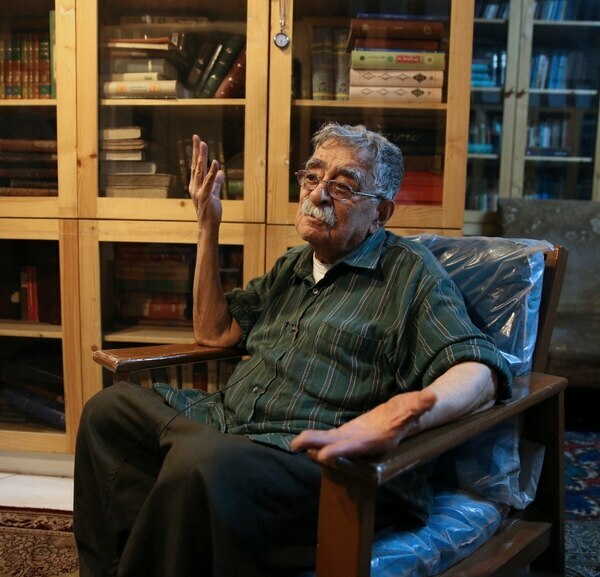 Anvar, who witnessed the coup at age 29, said he tried to reach Mossadegh's home in Tehran's Kakh neighborhood, wanting to support a prime minister he said allowed newspapers to freely criticism him. He found it in chaos with heavy shooting. "Some looted (Mossadegh's) house, basic belongings like sinks," he recounted. "It is the most ill-omened day in Iran's history." This March, authorities did again name a street for Mossadegh, a narrow, one-way street in a wealthy neighborhood in northern Tehran. Zohreh Abedi, a post-graduate student in law in Tehran who supports Rouhani's administration, passed by the street on a recent day in Tehran. He stressed that negotiations between Iran and the West remained important. "We need to talk. Trump should not be distant . it will damage both the U.S. and the world," Abedi said. In front of Mossadegh's old home, garment trader Kavoos Mohammadi said the building was a physical reminder of the power foreign nations can wield. "It was home of hope for people, destroyed because of the greediness of foreign powers," he said. Associated Press writers Jon Gambrell in Dubai, United Arab Emirates, and Mehdi Fattahi contributed to this report.